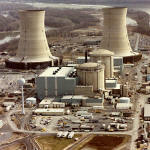 This is the home page for all my Three Mile Island information. I have so much stuff that this page will probably be under construction for approximately forever. As most every living being in the world now knows, on March 28th, 1979, TMI Unit 2 suffered a Loss of Coolant Accident (LOCA). A LOCA is considered the worst possible accident for US plants and multiple layers of engineered and passive safeguards are in place to control and contain the consequences of a LOCA (or any other type of) accident. 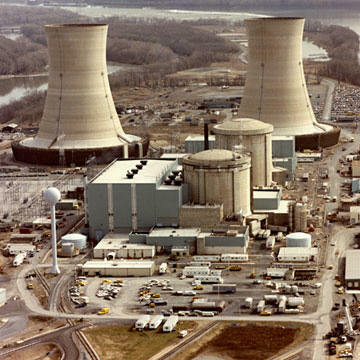 Despite operator actions that in retrospect look careless but were the result of poor training, the system worked and the effects of the accident were limited to inside the plant. A little while after the accident, the management of TMI decided that they needed my services to help with the recovery and to help restart TMI Unit 1, the undamaged unit and in fact, one of the best operating units in the country. I spent the next approximately 3.5 years there and my employees a few more. There are tons of sites out there on TMI, ranging in quality from first rate to laughable. This page will be different. I'm not going to try to recount the accident or recovery - I don't have the time nor the memory. What I'll be posting here will be projects I worked on and interesting information I collected along the way. This is stuff that just isn't available anywhere else. My TMI files at one time filled about half of a mini-warehouse so I have my work cut out for me. 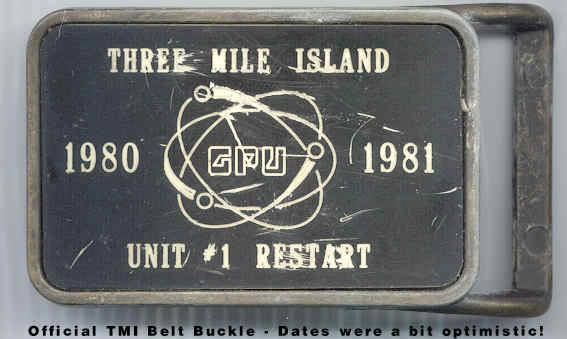 My official TMI restart belt buckle. We didn't quite make it by '81.